High quality, yet affordable ammunition for range practice and other applications. 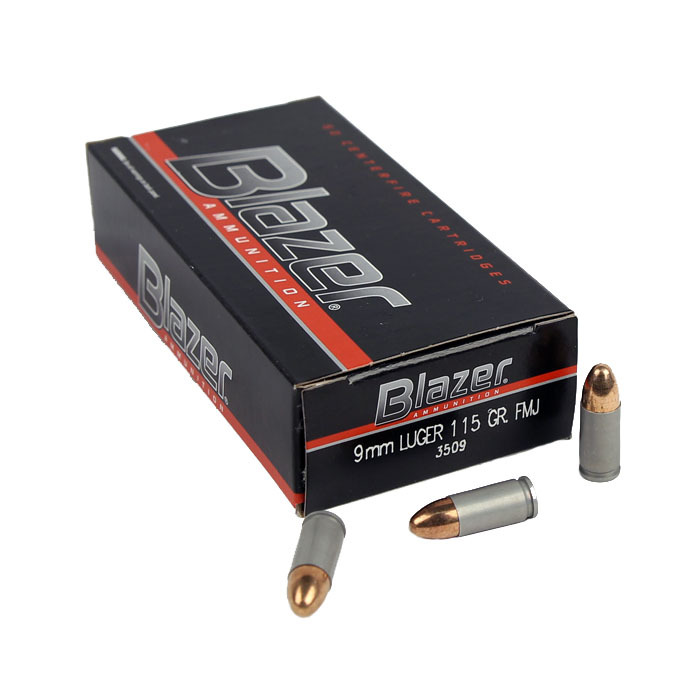 CCI Blazer is clean burning and consistent providing high reliability and accuracy. Non-reloadable high strength aluminum cases and non-corrosive primers with full metal jacket 115 grain bullets. The Blazer Aluminum 9mm works perfectly in all my guns, including my competition Steel Plate match gun, and Top Gun Supply's pricing is the best. As usual, top notch service from TGS. I use the Blazer aluminum at "lost brass" matches. Always go bang, decent accuracy and good price. I have always loved Blazer Aluminum for in expensive target practice. It is accurate and cheap. Great stuff!